What are the impacts of using Bioidentical Hormones during Menopause? Vaginal dryness, anxiety, headaches, tingling extremities, etc. The list of symptoms associated with menopause just goes on and on. If you're one of the many women going through menopause, it's likely that you've already looked long and hard for ways to help you combat your symptoms. One treatment you may have found is bioidentical hormone. Read on for your in-depth, beginner-friendly guide to bioidentical hormone treatment. In the 1930's, a researcher from Canada named James Collip developed a technique that could combat menopause symptoms: bioidentical hormone therapy. Although Collip first developed bioidentical hormones by extracting estrogen from the urine of pregnant women, the process used to develop them now has moved on. 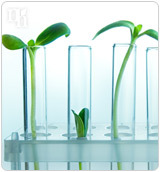 Modern bioidentical hormones are created by extracting chemicals from plants before being compounded in a laboratory. Read on to learn how this menopause treatment could help you. During menopause, estrogen, progesterone, and testosterone hormone levels can be disrupted. These hormones are vital to the functioning of your body, because they regulate lots of your body's functions. The disruption in hormone levels causes menopause symptoms including hot flashes, night sweats, vaginal dryness, hair loss, fatigue, and facial hair growth. Bioidentical hormones work to make up the shortfall of hormones in the body, and eradicate symptoms of menopause. Bioidentical hormones could help ease your menopause symptoms by redressing this imbalance. They can be compounded in laboratories to match the levels of hormones naturally created inside your body, so they can be tailored to each woman's individual combination of hormone deficiencies. However, bioidentical hormones have side effects of their own. Read on to learn more about the dangers of using bioidentical hormone replacement therapy. What Is the Impact of Using Bioidentical Hormones? A lot of research remains to be done on the full negative impact of bioidentical hormones. However, reported side effects of using bioidentical hormones include breakthrough bleeding, nausea, abdominal pain, and rapid weight gain, depending on the types and combinations of hormones that make up your individual therapy. It is also thought that bioidentical hormones have a number of associated risks, such as an increased risk of heart attack, stroke, blood clotting, and increased triglycerides. However, there are alternatives to bioidentical hormones available, such as herbal treatments and lifestyle changes. Click on the links below to learn more about other menopause treatments that could help you combat your menopause symptoms.